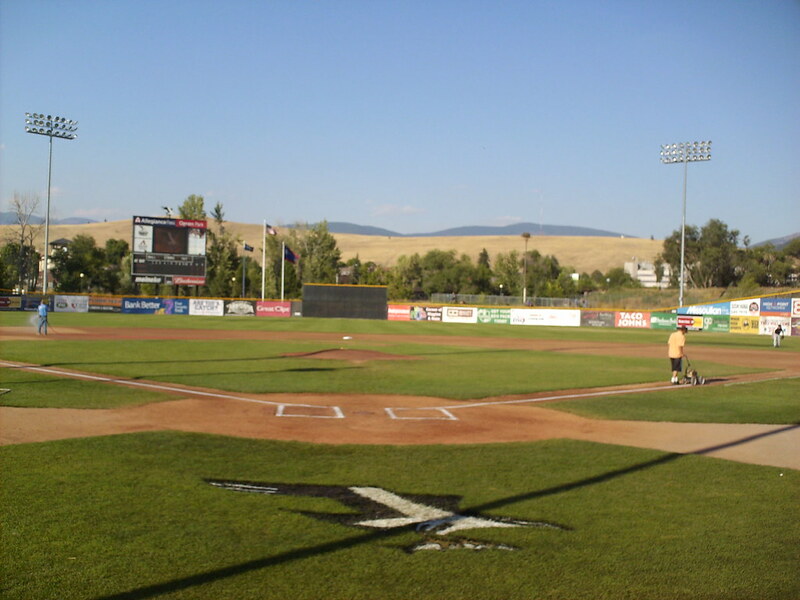 The view from behind home plate at Ogren Park. 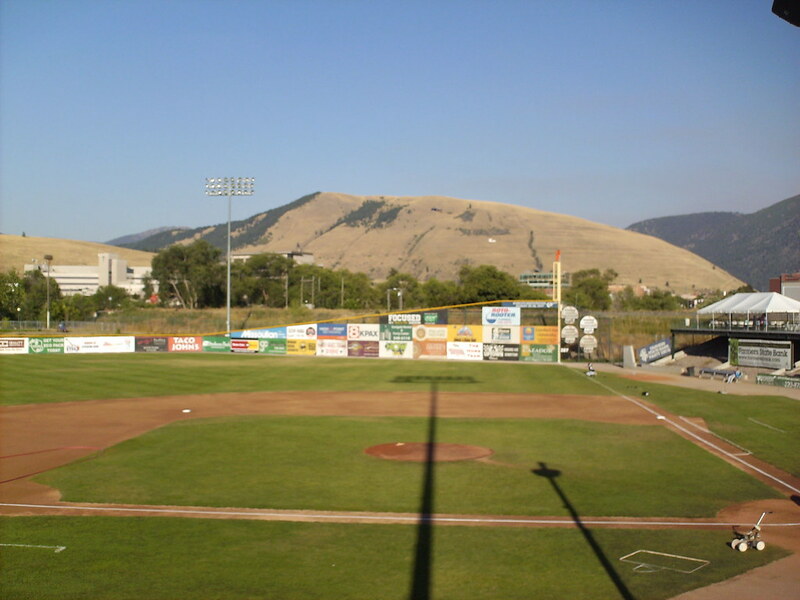 The pole in right center field is home to a nest of actual osprey. 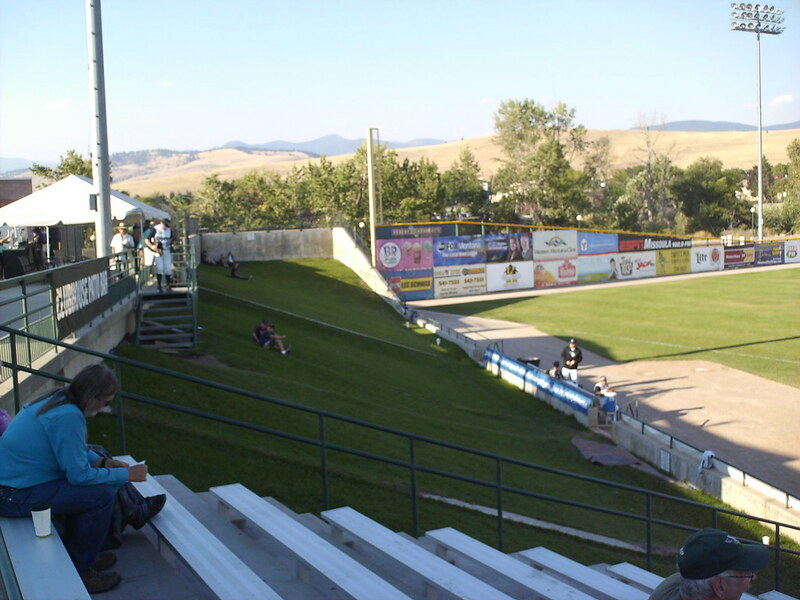 The grandstand at Ogren Park, as seen from the left field corner. 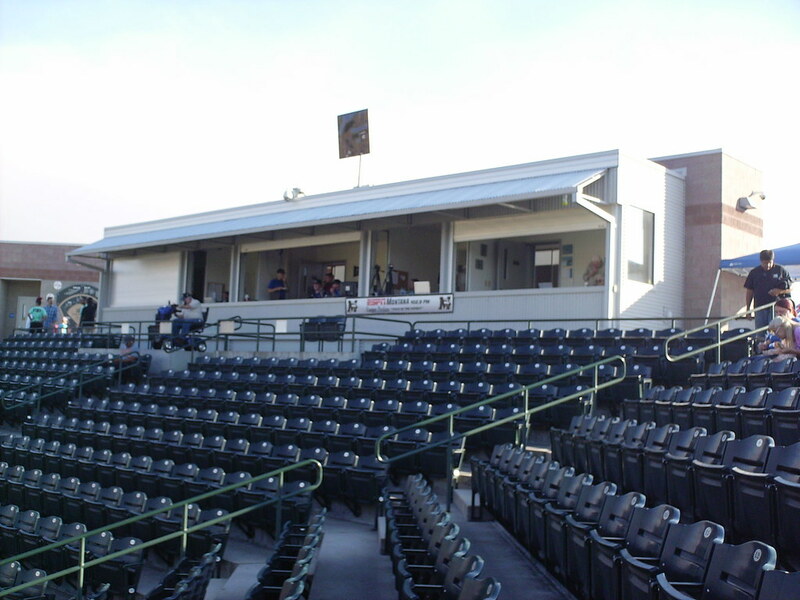 The pressbox sits on top of the seating bowl, with handicap seating in front of it. 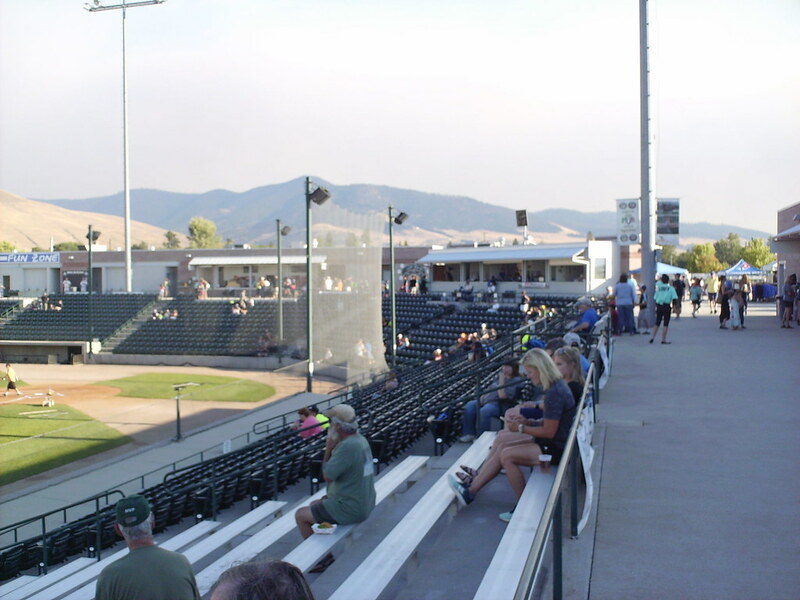 Aluminum bleachers sit at each end of the grandstand, and a covered picnic deck overlooks the field from the right field corner. 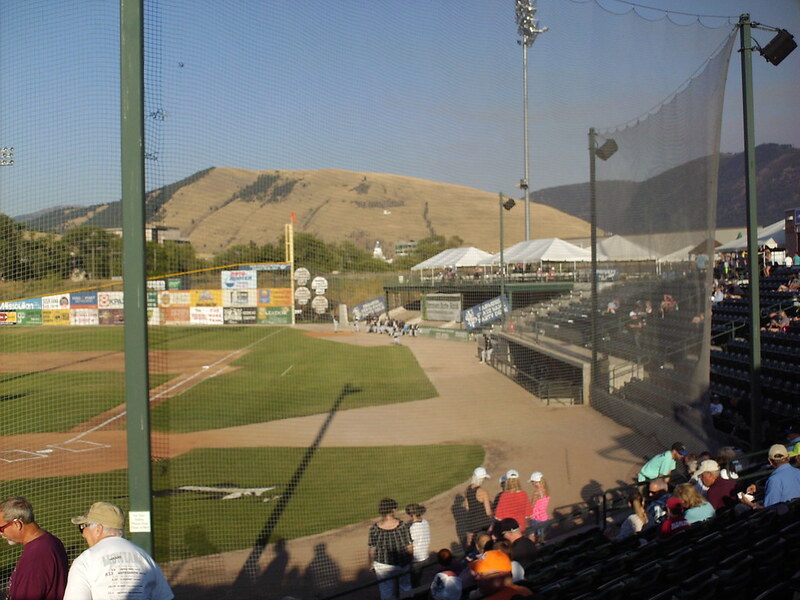 A steep grass berm sits in the left field corner of the park. 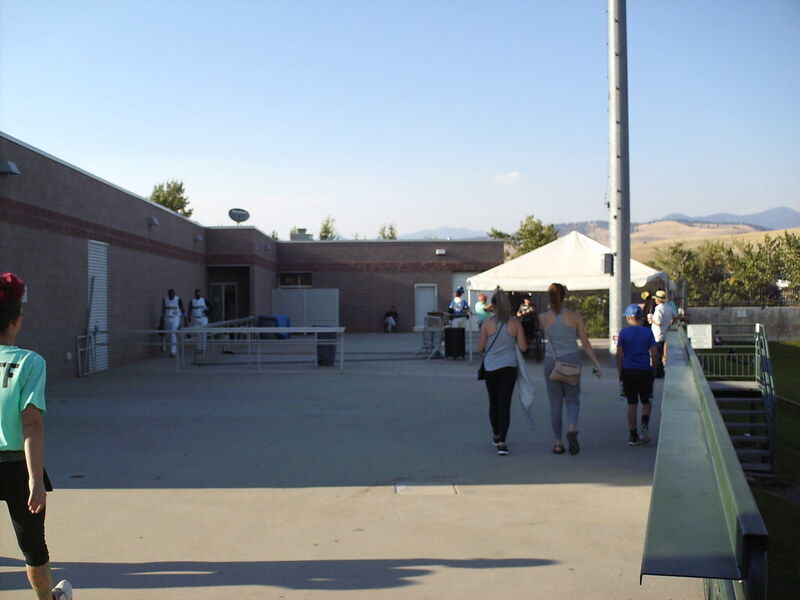 The concourse wraps around the top of the seating bowl, with drink rails for standing fans. 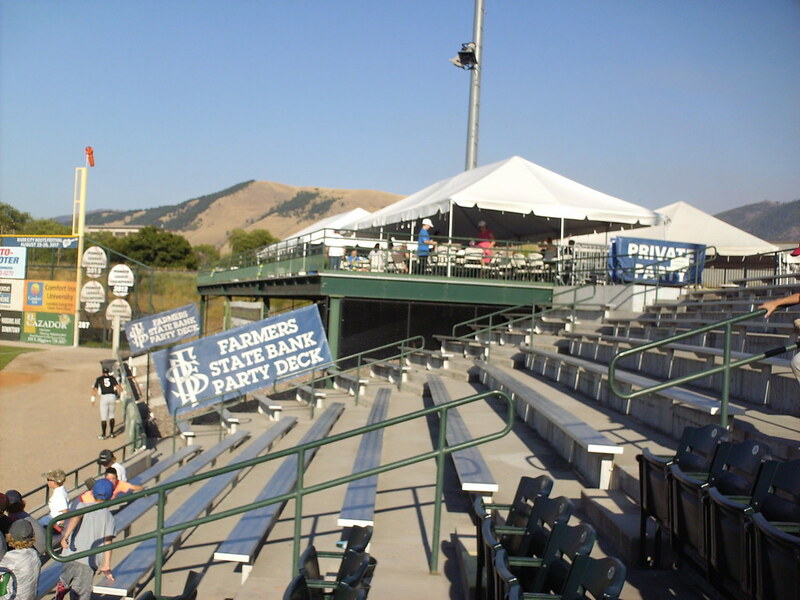 The clubhouse sits at the far end of the left field concourse. 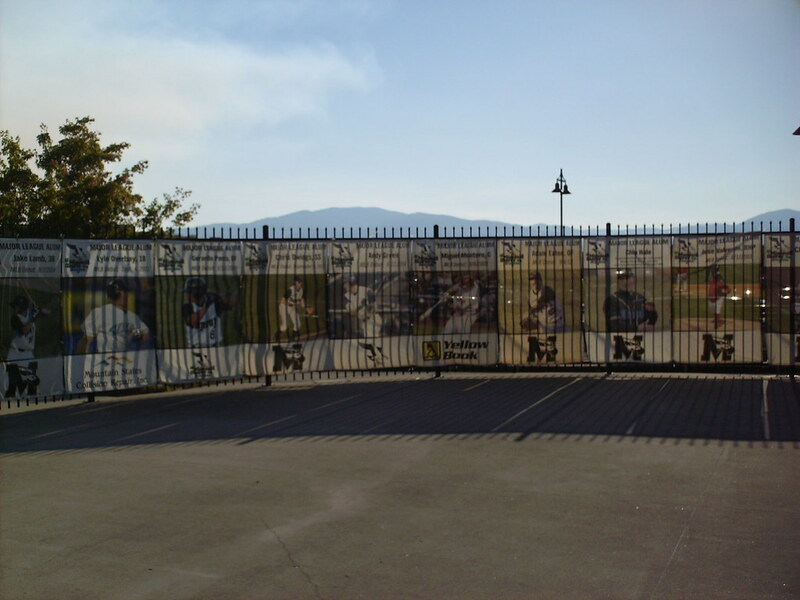 Banners along the concourse celebrate former Osprey who have made the major leagues. 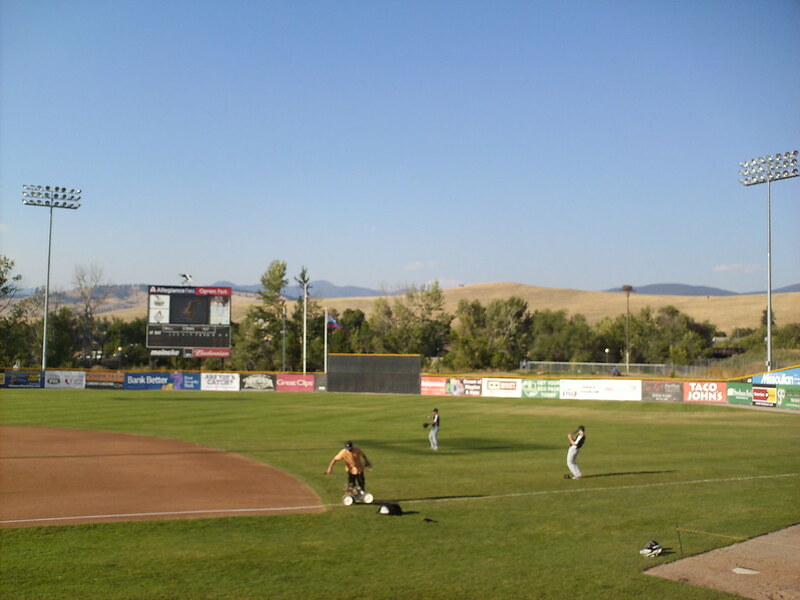 Allegiance Field features a large amount of foul territory, especially on the infield. 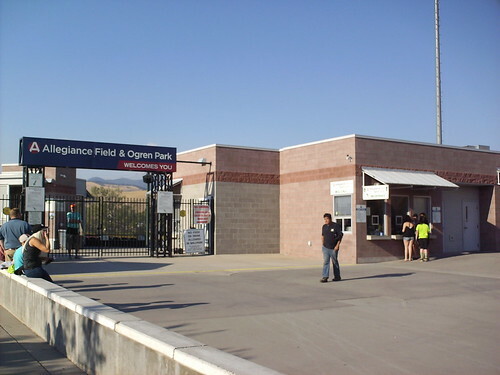 Railroad tracks run behind the outfield fence, leading to the short dimensions in the corners and the tall, steeply sloped, outfield wall. 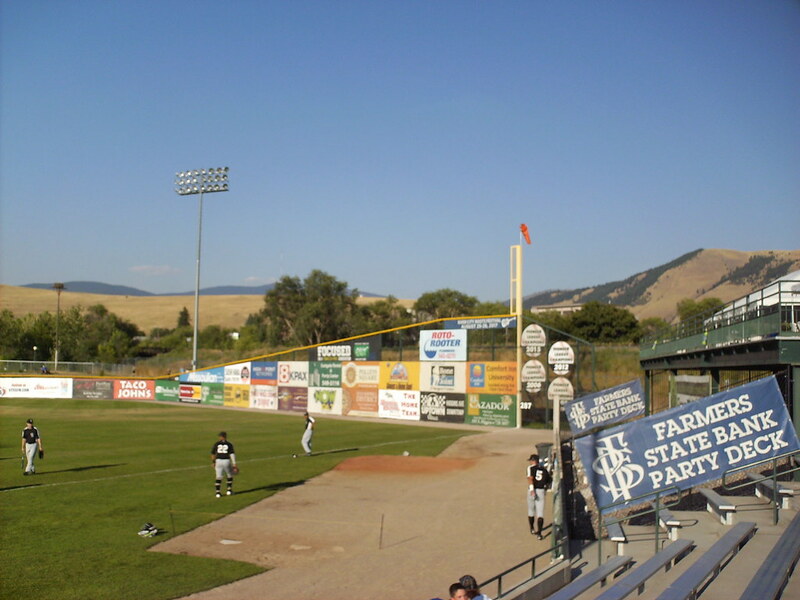 The scoreboard sits behind the left field wall, with mountain views beyond it. 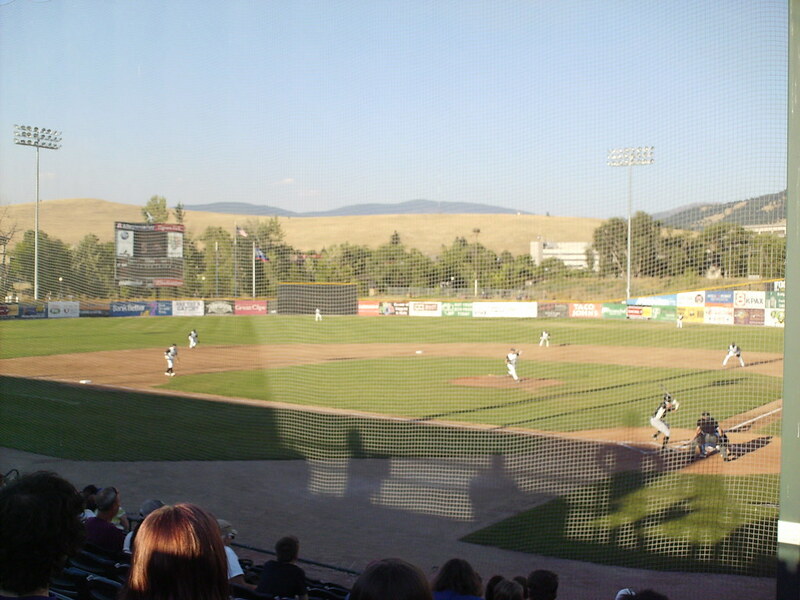 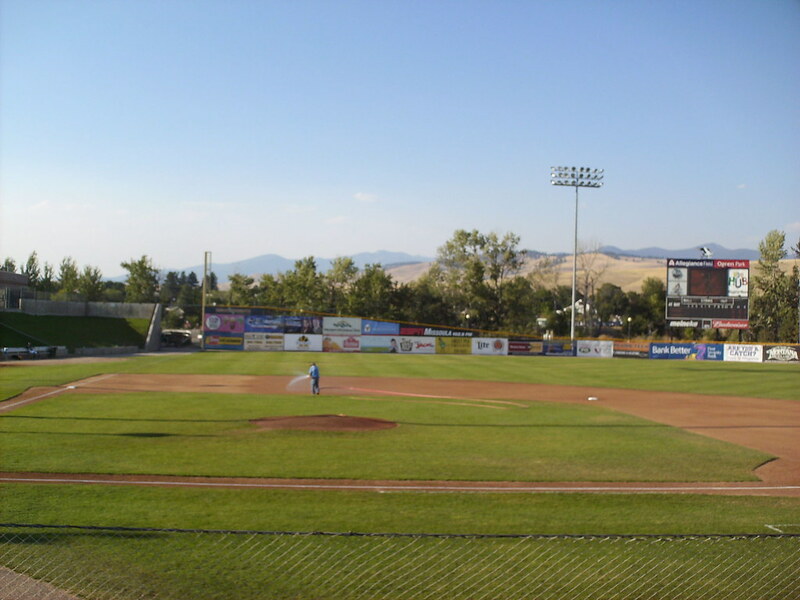 The Missoula Osprey on the field during a game at Ogren Park at Allegiance Field.